Weekly Photo Challenge: ARRANGED « Ink. Great photo! The arranged elements remind me of Filipino jeepneys. Military jeeps left over from WWII converted into a form of public transport in the Philippines. I loved seeing their ornate uniqueness on the street. I’ve never seen that kind of detail on the inside of a vehicle until now. And some Indian trucks with religious icons 🙂 Great entry Ruth! WOW! And I thought all Rick’s graduation tassels were “arranged”. That is quite something! WOW! As well. I don’t know what to say. WOW! I wonder how long it took to do this and how many changes were made until he got it just right? Great shot. Great selection for the theme. Definitely keeping the spirits up with this one Ruth! What a wonderful arrangement, and a great photo! Thanks Patti. I enjoyed your arranged colorful produce, too. Wow! 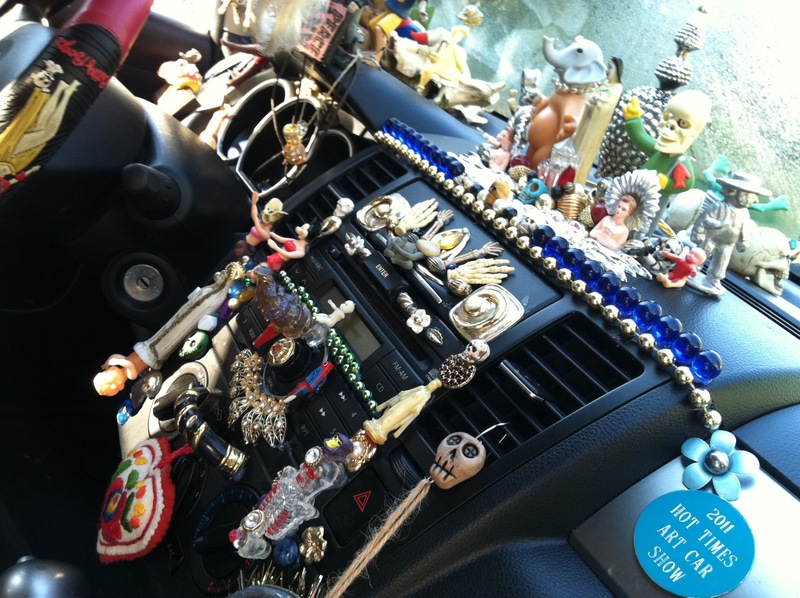 Is that your dashboard? A little scary :-). A neighbor of my daughter on Columbus Oh. Not mine! I hope no one wants to listen to the radio. I’ve seen one car like that before. Wild! This photo of the Art Car was taken in Columbus OHIO, USA. Haaa! Was it in use, or was it part of an installation, or exhibition? It’s fantastic, whatever. Thanks for letting me know. Good one! Everything looks perfectly arranged! This is insane! Definitely “arranged”!!! On a different note, I tried to comment on your doll post…but then can’t find it?! I love old dolls…she is marvelous!